Tomorrow’s eclipse at 13.39 Capricorn – promises to be quite spectacular. According to one popular Dutch newspaper “Trouw” , the nights surrounding the eclipse will present us with a spectualar show of shooting stars. This heavenly display is due to the fact that the earth is currently passing through a cloud of dust – left-overs from a comet, whose particles actually appear to be fired from the constellation Bootes. Bootes – according to Bernadette Brady – ‘ is a member of constellations that begin at the Pole with the sacred stars Draco and Ursa Major and Minor, and radiate outward in a pattern mirrored by the components of civilized society. This constellation is the symbol of the domestic or civilized human.’ (Brady’s Book of Fixed Stars, page 75). Each year around this time – the earth passes through this cloud – but what makes this year special, is that it occurs around the time of the New Moon, the sky will be darker than usual allowing us a much better view of the heavens. In fact, tonight at 20.00 (21.00 Dutch time) on BBC2 – there is a special program called Stargazing LIVE – which will introduce viewers to the astronomy of this event. But there is more… the Sun will actually appear to rise twice. Tomorrow – when the Sun rises over the Netherlands – she will already be partially eclipsed. The Moon drops down from above, over the rising Sun, thus splitting the solar disk into a left and a right horn – both horns appear separately above the horizon. Of course in order to see this, you do need to have a clear view of the horizon. I wonder what ancient astrologers and astronomers would have made of all this? Tuesday’s eclipse falls in the series 13 North – which again according to Brady first started in – wait for it – on August 14th 1776 at 05.40.33 GMT at the North Pole. Clearly this eclipse is linked to the Declaration of Independence, made on July 4th 1776, and the horoscope of the US. The eclipse position actually falls in opposition to the US Sun. In the Eagle and the Lark, Brady writes: “This is an eclipse family of groups and associations. It’s energy is about large and ambitious group projects. These group projects will require a separation, or the breaking of a bond that already exists…. (page 326). Which is of course exactly what happened in 1776 when the bond between the US and the UK was severed. However, what does all this mean for the nature of the eclipse itself? In order to answer this question, I have looked at the last two occasions an eclipse fell in this degree, on January 4th 1973 and on January 5th 1992. In 1973 – the eclipse ruler was Saturn in Gemini. On December 11th – the last man -to date – set foot on the Moon. Former US President, Harry S. Truman died. The US army received its last draftees. Plus another leap second (23:59:60) was added to end of the year, making 1972 the only year to have two leap seconds, and thus the longest year in human history. In January, the UK, the Republic of Ireland and Denmark enter the EU. On January 15th, Nixon announces the end of offensive action in North Vietnam. On January 22nd, a second former US President died, Lyndon B. Johnson: two old Presidents – clearly Saturn in Gemini. In 1993, the eclipse ruler was Saturn in Aquarius. Dec 3rd, 1992, A UN Security Council Resolution approved a coalition of UN peacekeepers to enter Somalia. In the UK – the Queen’s Annus Horribilis (horrible year) can hardly end quick enough. A fire in Windsor Castle on Nov. 20th causes 50 million pounds worth of damage and after a year of scandal, on December 9th, Prince Charles and Lady Diana publicly announce their separation. This eclipse was conjunct with Uranus, and transitting the Sun in the horoscope of the UK. Days before the eclipse, on January 1st, in Europe we see the elimination of trade barriers with the introduction of the European single market. Bill Clinton is made President. This Saturn/Aquarius ruled eclipse is certainly linked with new allegiances and with Uranus predominantly in the picture, with upsets. All of the last eclipses in the series, have taken place with Saturn in an air sign. Air suggests movement, social endeavour, and net working. Air seeks to create new bonds – while maintaining old ones – air is always keen to keep all options open. The current eclipse -is ruled by an exalted Saturn in Libra, which is also squaring the eclipse degree. Clearly this is not a time for leaders to be complacent. While both the Sun and Moon are friendly towards Saturn, the Sun is in fall in Libra. Rulers look set to face difficult times – and need to be decisive – which is not always Libra’s strongest point. There are difficult financial times ahead, and the Moon i.e. the people – is in detriment. Particularly those who are suffering under Saturn’s restrictions – will be highly critical of those in power. Though Saturn always seeks to preserve the status quo – he now faces serious challenges. That tricky Uranus square is just around the corner. So… at the very least the image of fair play must be upheld. Hypocrisy will not be viewed kindly. A good leader should set a good example or, “off with his/her head! !” But.. that being said – an eclipse is not inherently negative. According to Bill Meridian – eclipses can act like a spotlight – bringing a particular area into focus. Though fated by nature – a planet ‘eclipsed’ – can also bring one into favour. Quoting Charles Jayne “..eclipses bring emphasis on whatever planet they oppose or conjunct. Furthermore one eclipse will often start the accent on the planet which it contacts, while a later one will end the period in the limelight. In short the eclipses mark the milestones in the changes of the cycle.” (Meridian, the Predictive Power of Eclipse Paths, page 16). Taking all of this in account, if this eclipse does make contact with a planet in your horoscope, look at which house it rules, and run your mind back to the years I just mentioned. What happened at this time, and were these events significant, and if so, in what way? I would suggest in relation to that planet – that this would be a good time to explore its meaning in some depth. Try to follow your feelings and instincts. Don’t forget – to-morrow it is the Sun that will be partially eclipsed – which means that the Moon – i.e. your gut reactions and sense of simply knowing as opposed to understanding – will be strong. 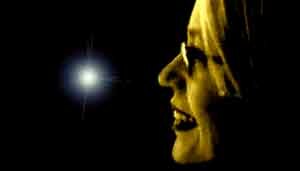 Dit bericht is geplaatst in Astrology English, eclipsen, Uncategorized en getagdastrology, bernadette brady, Bill Meridian, bootes, constellations, eclipse ruler, horoscope, solar eclipse. Bookmark de permalink. 6 Reacties op A Spectacular Eclipse: but what does it mean?